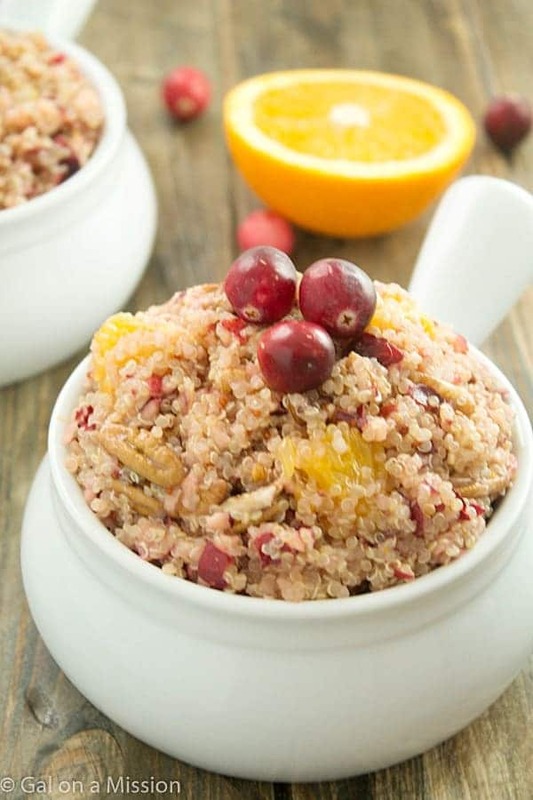 A refreshing and delicious cranberry orange quinoa salad. Perfect for any Fall occasion! I love refreshing cold salads that are light in calories and heavy in flavor. Now I really do love the pure comfort food you see during Thanksgiving and Christmas, but it’s always good to serve a lighter salad. I think so. If you ask my hubby, he will say the opposite thing. Even though I might be eating 10 pounds of comfort food during the holidays, I always feel a little bit better knowing I am also eating something a little healthier. Just joking on the 10 pound of food. 😉 Not really…! Now this salad is really easy to make and quinoa isn’t that expensive. We have a lovely healthier food grocery store down the street where we are able to pick up a bag of quinoa for about $4.00 a pound. We never use it all at once, so it lasts quite a while – especially with only two people. 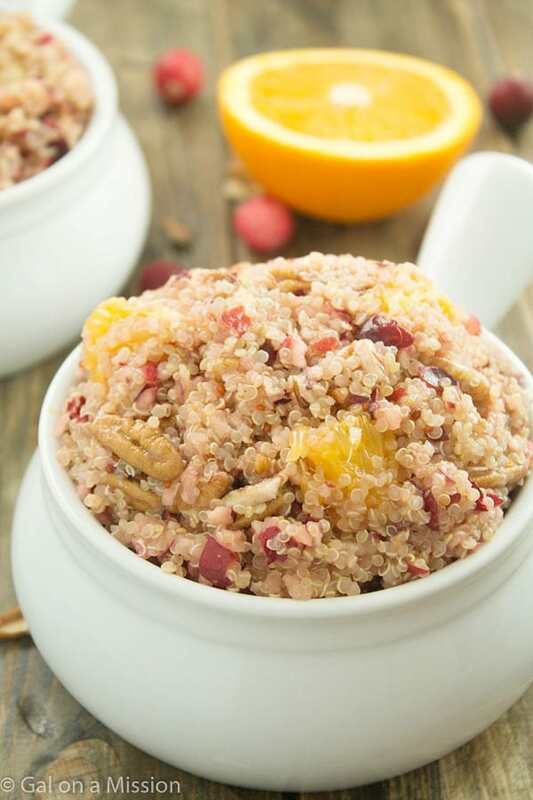 Prepare your quinoa by adding the water in a small pot and bring the water to a boil, then add in the quinoa. Simmer on medium heat until the quinoa is ready, according to the directions on the back of the package. Allow the quinoa to cool to room temperature. Set aside. Using a food processor, pulse the fresh cranberries a few times until the are diced finely. 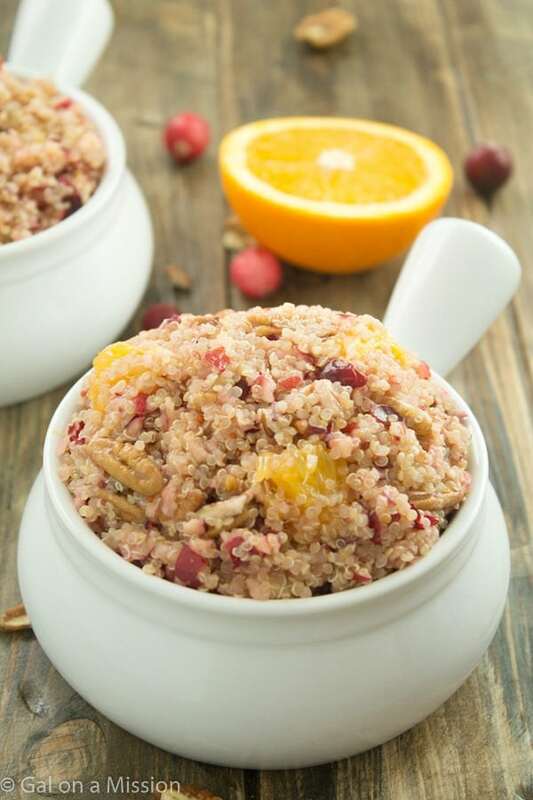 Add the cooled quinoa, cranberries, olive oil, honey, oranges, and pecans to a large bowl; mix everything together. Serve with your favorite dish. Good morning! I wanted to let know I featured this post in a cranberry recipe roundup on Chicago Jogger. You recently submitted this recipe for a roundup post.